This is one fine example of a Ferrari 355 Spyder. Yellow with tan interior. I like the blacked out rims on the car, although stock 355 or even 360 wheels would also look great. The car has a rebuild title, but as long as the work was done at a reputable shop, I wouldn’t hesitate to offer in the $30k’s for this car. Especially if the seller has receipts showing a recent major service. 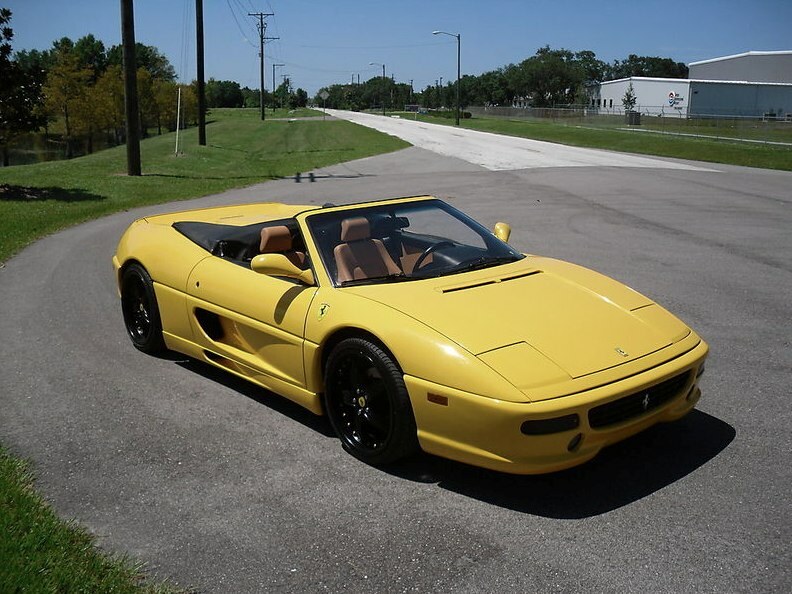 Ok, Here’s an amazing Ferrari F355 Spyder. This beautifull car has just gone major, major service and needs nothing mechanically. it has all seals, belts, clutch,plugs serviced and replaced and it is ready to go. This Ferrari has a Tubi exhaust system that according to Ferrari enthusiasts makes for the best sounding Ferrari on the F355 motor. I spend excess of 11,000.00 in service on this car and have all reciepts. All parts came from Ricambi America and are Ferrari original parts. It drives amazing. It’s incredibly fast and fun and you can’t go between lights without someone paying this car a compliment. The top works manually and the tires are 95%. The wheels are black with yellow accents and the Ferrari Scuderia on them. Buy It Now is at $40,000, with a Make An Offer option. This bargain Ferrari may as well be straight out of the movie, The Rock. Nicholas Cage goes screaming down the streets of San Francisco in a beauty just like this one. A great chase scene. Today’s bargain Ferrari is a Ferrari 355 Spyder F1 in yellow. Black interior. It’s a 1999 vintage and has just over 31k miles on it. This is a gorgeous car and looks to be complete. You’d want to check on the last major service. No real auction description, but a bunch more pictures if you’re interested at the link below. Current price is $29,995, but the reserve has not yet been met. Buy It Now is $49,880. A great deal since it’s tough to come by a 355 for under $50k. 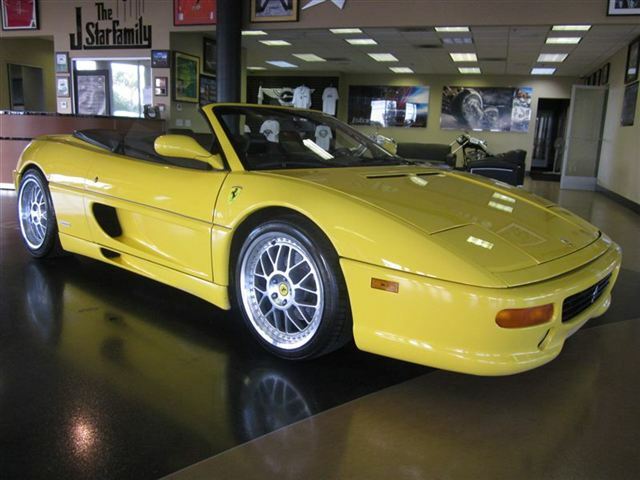 Here’s a link to the auction page: Bargain Ferrari 355 Spyder .